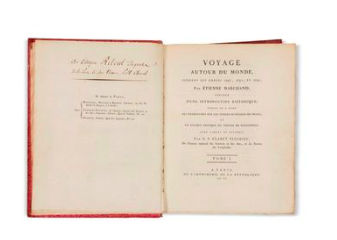 From Captain Cook's famous voyages to Admiral Anson's $30 million capture of a galleon in 1744, the travel narratives up for auction at Rossini articulate the explorations of the 18th century. 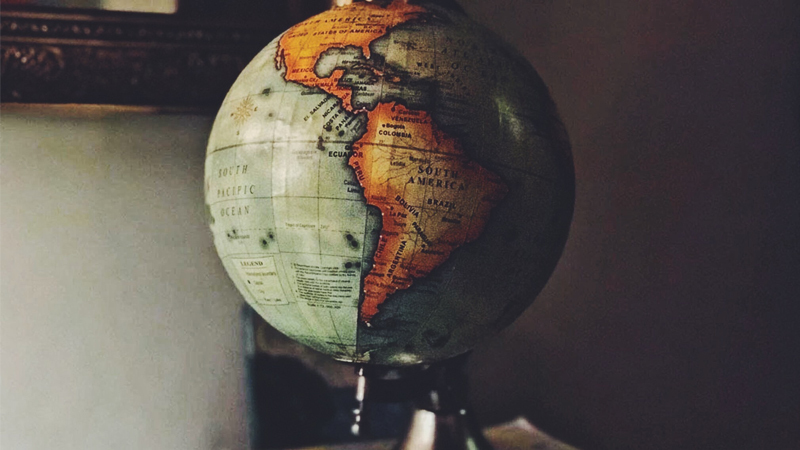 The Age of Exploration was an approximately 400-year period when overseas expeditions and discovery soared, leading to international trade networks and colonization. On the very long journeys to unexplored corners of the world, journals and memoirs were kept to chronicle the adventures. 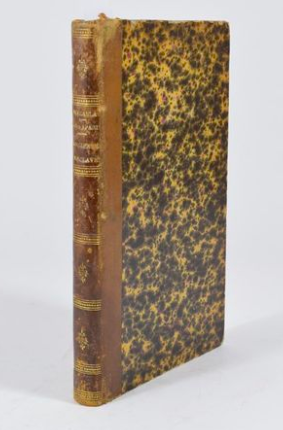 The premier lot is Andrew Kippis's 1789 biography of Captain James Cook, the prolific British explorer, who was best known for his expeditions to the Pacific, including inaugural trips by a European to Australia, New Zealand and Hawaii. This biography chronicles his life from his time in the Royal British Navy and experience in the French and Indian War to his exploratory voyages to the Pacific and cartographical legacy. It also includes the memoirs of Swedish botanist Anders Sparrman who traveled with Cook himself in 1787 to South Africa and the Antarctic polar circle. 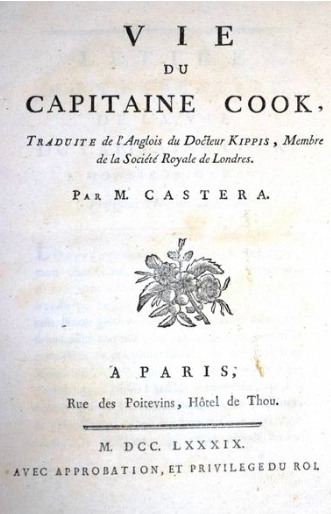 Another important travel narrative is that of Etienne Marchand, a French navigator who also traveled with Captain Cook. His published journal covers his journey around the world from 1790-2. It contains observations on the navigation in the Pacific and on the peoples and the natural history of the places visited, including Alaska, Hawaii and French Polynesia. Considered one of the most important travel books for the history and mapping of the northwestern coasts of America, Voyage of Discovery is by Captain George Vancouver, a British officer who completed the largest exploration of the British Columbia, Alaska and California. The city of Vancouver and Vancouver Island are named for the illustrious navigator. 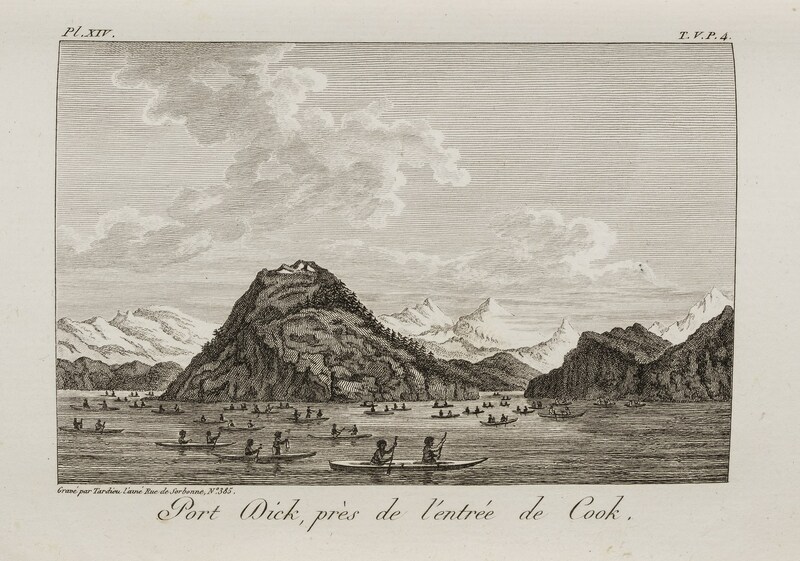 After accompanying James Cook on his second and third voyages, Vancouver reported important information about New Zealand, Tahiti, and Hawaii, complementing Cook's findings. 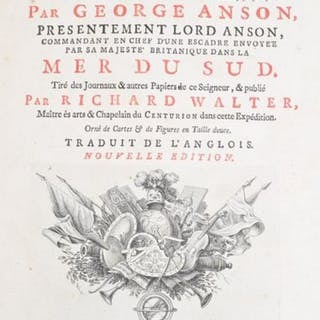 British admiral George Anson wrote Travel around the world, 1740, 1741, 1742, 1743, 1744, which covers the famous journey he took around the world. During Britain's war with Spain beginning in 1740, Anson led a naval squadron to the Pacific to weaken Spanish forces there. After the four-year circumnavigation of the globe, Anson returned to England with a captured Spanish ship brimming with gold worth, in today's dollars, about $30 million. While the expedition was successful financially, it was devastating in loss: 90% of the thousand men he started out with perished. 400 years ago, the first boat of African slaves arrived in the colony of Virginia in 1619. In the Rossini sale, there are historic documents and volumes that reveal slave conditions in the US and Caribbean colonies, abolitionist texts, and reports on the slave trade. Immediate abolition of slavery in the French colonies, Victor Schoelcher. 1842. 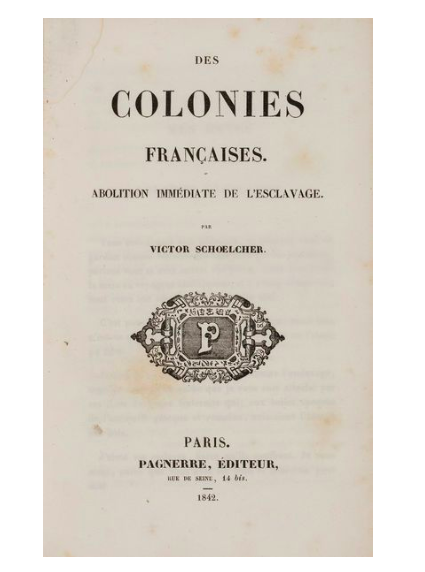 This indispensable supplement to the author's memoir published two years earlier under the title Abolition of Slavery, French abolitionist Victor Schoelcher renews his call for the emancipation of slaves in the French West Indies. Slavery in the Untied States, Gustave de Beaumont. 1836. 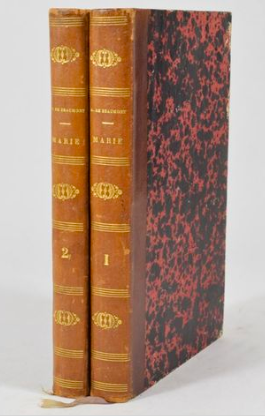 These volumes detail observations of slavery in the United States in the early 1800s. The author, Gustave de la Bonniere Beaumont, was a French writer and magistrate and a close colleague of Alexis de Tocqueville, the famed philosopher. Voucher for a slave dealer in Santo Domingo. 1787. 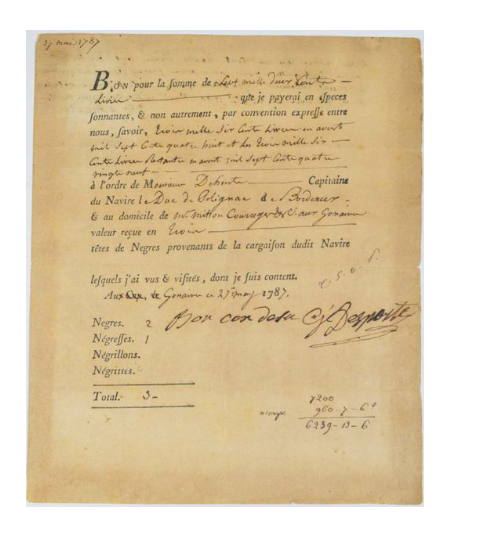 This rare voucher for a slave dealer in Santo Domingo dates to May 27, 1787 and mentions the purchase of three slaves in Gonaives, on the island of Santo Domingo (Haiti). This book covers details on the emancipation of slaves in the British Caribbean colonies, including Jamaica, Barbados and English Guyana, in the years following England's abolition act of 1833.